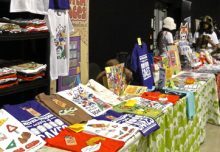 I’m back from a great weekend at MCM Comic Con Birmingham at the NEC. 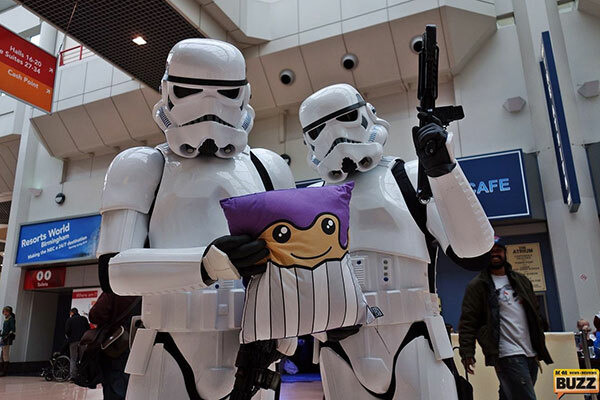 The show’s twinned with Memorabilia, which has loads of special guest signings and hundreds of stalls selling film and TV memorabilia – perfect if you’re a Star Wars or Doctor Who collector! 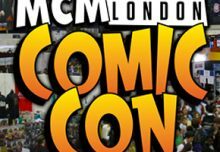 The Comic Con side was a smaller version of MCM Expo in London, with cosplay, the Comic Village, games, movie previews and stalls selling manga and anime merch and all kinds of cuteness. The show was at the NEC, who’d stepped up their security measures with Stormtroopers on the door! 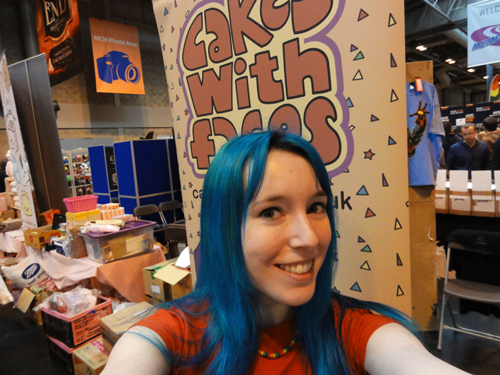 There were a few stalls selling actual cupcakes with nerdy decorations, which looked really yummy, and there was a tattoo stall doing live tattooes, which drew quite a crowd. We were next to the Tofu Cute again, just like at Hyper Japan. Their stall has sooo much cute stuff – I kept getting distracted trying to read the hiragana and katakana on the packets. It was also great to meet the Keep it Secret team in real life. I got myself some cute Hello Kitty earphones from their stall. I also got a pack of top trumps style cards from Nich Angell, author of 7-STRING, in the Comic Village. The cards feature characters from different comic book artists, making a really cool set. On the Cakes with Faces stall, the new Cute but Deadly baby-grows made their debut, and got a lot of attention, making people wish they had babies to wear them. Several babies yet to be born will be getting one as a present, and some people even considered getting one for their cat/dog…. 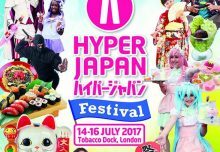 The most popular t-shirt of the weekend was All the Best Stuff is from Japan, closely followed by glow-in-the-dark Cuter with Cat Ears. As for prints, none of the others can ever beat the mighty Triangle Club, which was indeed rockin’ the hypotenuse! A few more sizes of the original cakes with faces t-shirt sold out (once it’s gone, it may be gone forever), and you cleared us out of How to Make Sushi packs. A big thank you to everyone who came to the stall over the weekend, everyone who smiled at “pain au chocolat” (don’t know what I mean? Look here) and everyone who made us laugh with their (scary/strange) comments. We wouldn’t be here without you!! For more photos, hop over to my Facebook page, and if you bought any Cakey merch over the weekend, please do share your photos – I’m sure you can be a better model than me! 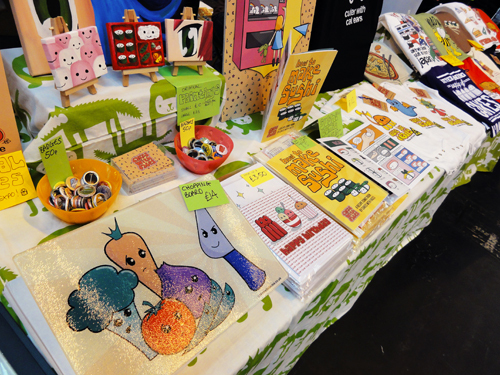 (Yes that is me in the shop photos…) See you next time at MCM Expo in London in May!